Details of the Coates family living in the Grewelthorpe, Kirkby Malzeard area. Last update April. 2018. Information taken from census and church records and the research of Rosalyn Greenwood. I have two direct line 2xgreat grandfather Coates from Ripon area. One belongs to the Sawley branch and the other George Coates born about 1822 Ripon (not the son of William and Frances) whose daughter Elizabeth Coates eventually marries back into the Swiers family of Sutton. I note in the Ripon Historian Oct 2011 that Robert Swiers my gg grandfather was a local Wesleyan Preacher in Grewelthorpe from 1881 ‘ 1892, even as early as 1851.Could my Coates family have been methodists? Thanks to Susan Shewell for photos & letters of Dorothy Coates. Nov 2012. Rosalyn Greenwood wrote April 2013. I am shortly coming to K.M. to see if I can find the farm which belonged to William Coates. William Coates was born about 1759 and died in 1824 aged 64.He was the son of John but no idea who John was. He was married to Ellen Burnett 18 dec 1781 and had several children including William born 1787 and I understand is buried in K.M. church yard in 1812 age 25. He also had a brother Joseph born 1796 who married a girl from K.M. called Mary born 1797. Joseph and Mary moved to Skelton and their first child was born about 1824 so I expect the marriage took place about that time. If you can help please contact this site. Letter from Rosalyn Greenwood June 2013. Yesterday I went to the Borthwick Institute and found some Coates wills. One was Ellen died 1812 a widow and William of Warren Lane House (must be the one who sold his land in 1811) also 1812,who left his money to a man by the name of Thomas Thorpe. (butcher).Very interesting was the will of John Coates solicitor father of Dorothy(picture).Age 81 he wrote it himself giving details of all his purchases over the years. Sadly it refers to his missing son John (solicitor) who ended his days somewhere in a mental institute, as did his only son. Most of the Coates family seemed to lose sons at an early age perhaps that is why I have no followers. Another letter from Rosalyn in September 2017. I have solved where my great great grandfather George Coates came from born 1822. Actually he was born in Knaresborough and came as an orphan to Ripon with his stepmother Ellen Coates. She died when he was young and he probably was brought up in the old work house where a distant relation was the Master and his wife Jane Coates sister to my gggrandmother. who in turn had a Thomas a William and Ann. Ann = John Cundal hence they have been made Administrators of their brother Richard in 1792. I will send the letter of admin under another e mail. It would be great if you can shed any light on these early Coates. IF ANYONE CAN HELP ROSALYN PLEASE CONTACT THE SITE. ANN COATES. Born C1856 Sawley. Dau of Henry & Phyllis. ANN ELIZABETH COATES. Born C1880. Ripon. Dau of William the Gardener & Elizabeth. ARTHUR COATES. Born C.1881 Harrogate. Son of William the cab prop. & Elizabeth. CHARLES H. COATES Born C.1860 Sawley. Son of Phyllis of Grantley. A grocer in Lancashire in 1891. living with his Mother. CHARLES HENRY COATES. Born C1910 Ripon. Son of Henry [butcher] & Mary J.
CHRISTOPHER COATES. Bap. 21.10.1798. Galphay. Son of John. DORA COATES. Born C. 1867 Sawley. Dau of Henry & Phyllis of Grantley. Living Lancashire 1891 unmarried. DOROTHY COATES. Born C1805 Kirkby Malzeard. Dau of John. Sister of Matthew. They were still together in 1881 both unmarried. See letter at end. Dorothy Coates in 1887. Dorothy’s house – The Cottage. Galphay. ELIZABETH COATES. Bap 1762. Dau of Thomas. ELIZABETH COATES. Born 1847. Dau of George. married William Swiers. of Sutton Grange. ELIZABETH COATES. Born C 1849 Leyburn. Dau of William & Jane Bateman. of Masham. ELIZABETH COATES.[nee ?] Born C 1853 Kirkby Malzeard. Wife of William a Cab Proprietor in Harrogate in 1901. ELIZABETH COATES. Born C1865 Sawley. Dau of Henry & Phyllis of Grantley. Living Lancashire 1891. unmarried. ELLEN COATES. Step Mother of George of Knaresborough. see letter above. EVA COATES. Born C 1901 Ripon. Dau of Henry [butcher] & Mary J.
GEORGE COATES. Born C 1822 Knaresborough. Died 1901.Lab. in Iron factory. Father of Elizabeth & Martha. see letter above. GEORGE COATES. Born C1864 Galphay. Son of Thomas & Elizabeth of Aldboro. HENRY COATES. Born C1826 Sawley. Landed Proprietor. Married to Phyllis of Grantley. HENRY COATES. Born C1866 Great Ouseburn. Cousin of Henry [butcher] Living with Henry & Mary J. in 1911 in Ripon. HENRY COATES. Born C1870.Ripon. A Pork butchers assistant in 1901/1911. Married in C1893 to Mary J. of Kirkby Malzeard. HENRY COATES. Born C 1872 Ripon. Son of Henry & Elizabeth. HENRY COATES. Born C 1872 Ripon. Son of William the gardener & Elizabeth. 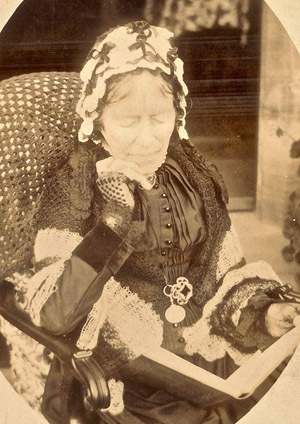 JANE MARY COATES. Born 1804. Married John Adams. They became Master & Matron of Ripon workhouse. JANE COATES. Born C 1847 Leyburn. Dau of William & Jane Bateman. of Masham. JANE M. COATES. Born C1852 Sawley. Dau of Henry & Phyllis. JOHN COATES. Born C 1768. Died 1849 age 81 Kirkby Malzeard. married Dorothy Ianson. of Melmerby. Father of Matthew & Dorothy. He was a solicitor. see letter from Rosalyn above. JOHN COATES. Bap 3.1.1772 Grewelthorpe. Living Galphay 1841. Son of Thomas. JOHN COATES. Bap. 15.8.1794 Galphay. Son of John. JOHN COATES. Born 1803. Married Agnes Clare Byrne. He was Clerk of the Peace. head of local govt. disappeard in 1836. JOHN COATES. Born C 1834 Masham. Married to Elizabeth of Middleton Quernhow. had step daughter Elizabeth Parkin. born C1857. 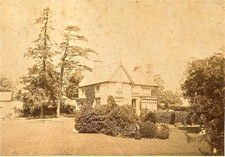 In 1861 they lived at Pickhill. JOHN COATES. Born C1861 Skelton. Son of Thomas & Elizabeth. of Aldboro. JOSEPH COATES. Born C 1796. Son of William & Ellen Burnett. married Mary? and they lived Skelton. LILLEY COATES. Born C 1875 Ripon. Dau of William the Gardener & Elizabeth. MARGARET COATES. Born 1854 Leyburn. Dau of William & Jane Bateman. of Masham. Married Nicholson Barker. Parents of Ellen. MARY COATES. [NEE ?]. Born C 1797 Kirkby Malzeard. Wife of Joseph of Ingerthorpe. MARY COATES. Born C 1852 Leyburn. Dau of William & Jane Bateman. of Masham. Living Fearby in 1881. unmarried. MARTHA COATES. Dau of George. Sister of Elizabeth. married Anthony Gill [Guyll]. MARTHA COATES. Born C 1857 Leyburn. Dau of William & Jane Bateman. of Masham. MARIA JANE COATES. Born C1876 Durham. Dau of Thomas & Elizabeth of Aldboro. MARY ANN COATES [nee ?]. Born C 1830 Kirkby Malzeard. Widowed Mother of Mary Coates. wife of John Verity. a grocer in Pateley Bridge in 1901. In 1881 Mary Ann was a lodging house keeper in Scarborough. MARY COATES Born C 1857 Liverpool. Dau of Mary Ann of Kirkby Malzeard. Wife of John Verity. Grocer. MARY ANN COATES. Born C 1868 Aldboro. Dau of Thomas & Elizabeth. of Aldboro. MARY J. COATES. [Nee?]. Born C1875 Kirkby Malzeard. Wife of Henry[ Married C1893] a pork butcher in Ripon in 1901. They had a baby daughter Eva in 1901. & Charles Henry in 1910. MATTHEW COATES. Born C1809. Died 26th Jan 1888 Galphay. aged 79. [Ref. Leeds Mercury 1888]. MATTHEW COATES. Born C 1811 Ripon. Son of John. Brother of Dorothy. Living Azerley 1851. Proprietor of houses. Still living with Dorothy in 1881. Unmarried. MATTHEW COATES. Chairman of the Ripon Gas Co.
PHYLLIS COATES. Born C1828 Grantley. Widow in 1911. Living with son William in Lancashire. PHYLLIS AMY COATES. Born C1871.Sawley. Dau of Henry & Phyllis. Living Lancashire in 1881. RICHARD COATES. See letter above. Letter of administration for Richard Coates. ROSAMUND COATES. Bap. 12.7.1795 Galphay. Dau of John. SARAH ELIZABETH COATES. Born C1872 Langthorpe. Dau of Thomas & Elizabeth of Aldboro. THOMAS COATES. Born C1833. Lived Ripon. Died 26.6.1917 in Ripon workhouse. He was an alcoholic and died of cardiac failure. Buried in the workhouse cemetery. THOMAS COATES. Born C1835 Skelton. Married to Elizabeth of Aldboro. Living Aldboro in 1871. THOMAS COATES. Born C1843 Fearby. A joiner leaving Cleckheaton in 1891. Married to Ann of Gilling Richmond. THOMAS COATES. Born C1853 Sawley. Son of Henry & Phyllis. THOMAS COATES. Born C1874 Langthorpe. Son of Thomas & Elizabeth of Aldboro. WALTER COATES. Born C1870 Ripon. Son of William the gardener and Elizabeth. WILLIAM COATES. Son of Thomas & Sarah Terry. He married Petronella Hammond in 1732. WILLIAM COATES. Born C1759. Died 1824. Son of John. Married Ellen Burnett. in 1781 they had several children. WILLIAM COATES. Bap 22.1.1766. Warren Lane. Kirkby Malzeard. Son of Thomas. WILLIAM COATES. Born C1787 . Possibly died aged 25 in 1812. son of William & Ellen Burnett. WILLIAM COATES. Born 1824 Leyburn. Farmer / Butcher. Married Jane Bateman. [b1823]. of Masham. Had 6 children. Living Fearby 1881. Middleham 1891. Had granddaughter Ada Walker. [b 1873] in Shilden Durham. WILLIAM COATES. Born C 1828. Galphay. Died 26.8.1868 age 40. WILLIAM COATES. Born C1850 Sawley. Son of Phyllis of Grantley. A draper in Lancashire in 1891. WILLIAM COATES. Born C 1855 Skelton. Married Elizabeth. Gardener in Ripon in 1881. WILLIAM COATES. Born 1861. Leyburn. Son of William & Jane Bateman. of Masham. WILLIAM HENRY COATES. Born C1869 Aldboro. Son of Thomas & Elizabeth of Aldboro. Transcript of letter from Dorothy Coates to Mary. 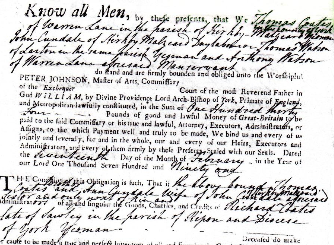 Mary was Mary Hartley who married Barnard Broomhead-Colton-Fox, and Trotty was their daughter, Mary Dorothea Broomhead-Colton-Fox born in 1879… is where original unreadable. Thanks to Susan Shewell for this letter. I must no longer delay writing to you to beg you to tell darling Trotty and sweet Robin how much pleased I was to receive their beautiful cards on my birthday, and think it was so very kind of them to remember it. I have the pretty ornament (?) always before me set up on the Drawing Room table and all who have seen it, have admired the cards so much. I have been feeling for the last few days very feeble, but I hope when the weather is warmer that I shall be able to get out into the open air more – I have consented to have a Basket wheelchair which John and Ity ‘ very desirable for me, as I cannot get out so often as I feel inclined to do. The little vehicle is ‘ if it which ‘ so light that it may easily be drawn by the Boys either round the garden or even to Winksley, and it will be easier to get in and out than the carriage. I shall have the benefit of the air without the discomfort of having to mount up into the carriage. John and Ity are most kind and thoughtful, indeed as you all are. How much reason we have for (words missed out) having such dear ones belonging to us in this season of ‘ failing strength for we both feel that we are decidedly failing – Uncle Matthew keeps almost entirely to the ‘ side, but except that he has a troublesome cough just now, he is pretty much as usual. The weather has indeed been especially cold and for the last few days very gloomy but we have a bright sunshine today which I hope will continue over tomorrow. I am longing to get again to Church but could not bear it at present, but I can see the pretty view which I look upon of the green, and the Studley (?) Woods, and the evergreens in the garden have the cheering look of fast approaching spring, all quite free from winter storms (?) and the keen frosts we have had of late. I trust you will be able to ‘ from your happy house during the sweet summertime and bring dear Trotty to trot about with her cousin and Robin, dear Robin also. I must now close my scrawl – I hope your dear Husband keeps well. Our united best love is with you all and may God’s blessing be upon you, in all your movements. I am my darling Mary, your most affectionate Auntie Do. PS John ‘ have gone to Bedale today, it being the holiday. Charlie is at home with his Mother ‘ both such good boys, quite interested in my Birthday present, placing it where it may best be seen.